“Good broth will resurrect the dead.” Bone broth is an incredibly healing traditional food with myriad health benefits, and it’s so soothing and calming. 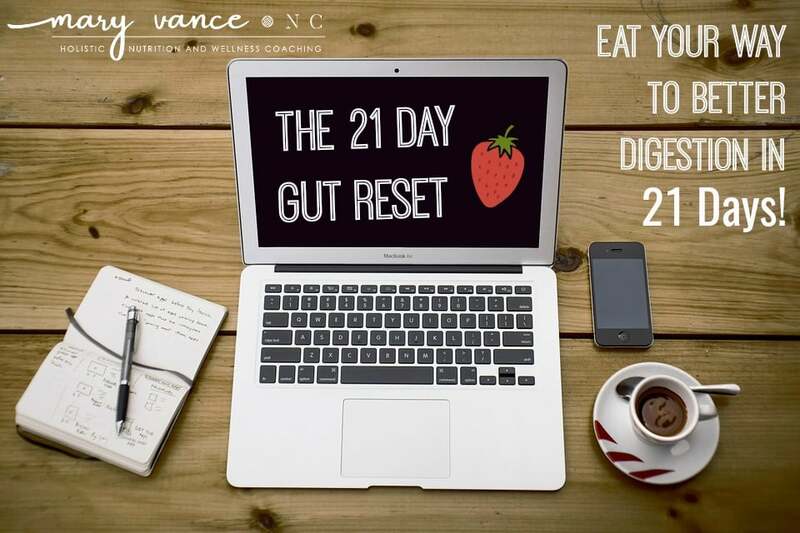 It’s frequently recommended in certain healing plans like the GAPS diet, leaky gut, autoimmune conditions, and nearly any GI issue. I always recommend broth to weight loss clients and to those with digestive concerns. Broth made with chicken bones blocks the migration of inflammatory white cells, making chicken broth an invaluable tool to boost immunity during cold and flu season. If you feel run down, make a batch of broth before you really start to feel crappy, and drink 8 ounces 2-3 times daily for recovery. Broth can improve digestion and metabolism too. I drink mine with plenty of sea salt and curry (for the trace minerals and anti-inflammatory turmeric), or I use it as a base for soups and stews. Following the below recipe is important, because when I’m discussing broth, I am most certainly NOT talking about the stuff you buy in cans or in a box from the grocery store. Not only has it not been properly prepared, many brands contain additives and MSG (look for key words like ‘natural flavor’ or ‘autolyzed yeast extract’ in the list of ingredients. MSG hides under those terms). If you don’t have time to make your own, it’s now possible to order organic, top quality bone broth made without additives or junk (and yes, it does gel!). I highly recommend Kettle & Fire broths. Check them out here! First, the benefits. 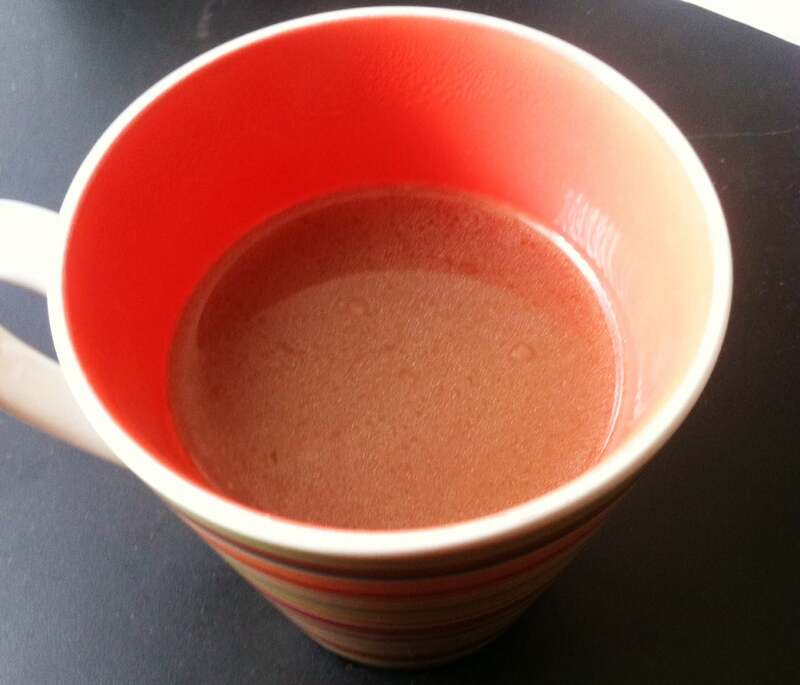 Bone broth, when properly prepared, is very rich in the minerals we are so sorely lacking in our diets. Even if you’re eating a diet full of all kinds of veggies (half your plate should be veggies of all kinds! ), modern farming practices have left the soil that even the best organic crops grow in depleted of the key minerals we need. Minerals are critical for good cardio function, stress response, and enzymatic reactions in the body. Broth is calcium-rich, and many folks (especially those of us who avoid dairy, which isn’t even the greatest source of calcium. Get calcium from your leafy greens!) are concerned with not getting enough calcium. Broth is also rich in magnesium, phosphorus, silicon, potassium sulfate, flouride, collagen, glucosamine, chondroiton, and other trace minerals. Broth contains both collagen and gelatin, two super healing components. Collagen nourishes joints, tendons, ligaments, skin and bone, and it improves skin elasticity–drinking broth makes skin smooth and supple and may reduce cellulite. Collagen also contains arginine and glycine, two important amino acids. Arginine is said to improve metabolism, making it useful for weight loss, and glycine helps muscle recovery. Glycine may also improve digestion by increasing gastric acid secretion. Broth can be a useful tool for healing leaky gut syndrome (it also contains a bit of glutamine, which is an essential component the body uses for leaky gut repair). 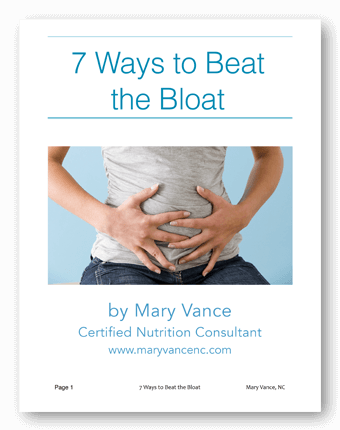 Read more about leaky gut here. Gelatin is quite a superfood as well. It improves skin and hair, nails, also improves joints, helps reduce cravings, making it useful for weight loss, and improves digestion and muscle tissue. Broth can be a valuable weight loss tool–the high mineral content can help combat sugar cravings. Try sipping it in the afternoons when the 3pm sugar cravings hit. Broth is also incredibly nourishing for the digestive tract, making it invaluable for reducing intestinal inflammation from foods like gluten, sugar, and dairy, and for leaky gut healing, as mentioned earlier. I often use it with my vegetarian clients who are just starting to re-explore the world of meat. They often have fatty acid or amino acid deficiencies, so broth works well for them. So, how do you make it? Here is the easiest method, using a crock pot. The longer and lower you simmer your broth, the better, as more minerals will be extracted, and the flavor is richer. 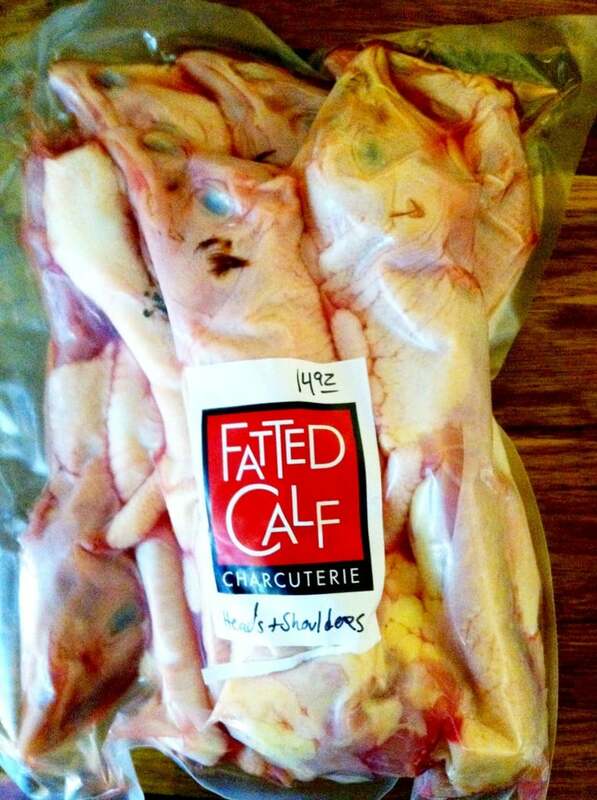 2-4 lb bones of pastured animals. I use either lamb, beef or raw beef marrow bones, or for a chicken broth, chicken bones/back/neck. Always get organic/grass fed bones. I’ll save them in a container in the freezer until I have about a pound or more. You can also save egg shells and use those. Buy chicken backs, necks, heads and feet, which are usually cheap and yield a collagen and gelatin-rich broth. Put all ingredients in slow cooker, then pour enough filtered water to cover everything. Set to low and let it cook for 15 up to 24 hours. Strain broth and store in glass containers (preferably). In the fridge, you’ll notice a layer of fat form–don’t skim this. It seals the broth and keeps it fresh. Skim the fat just before you drink, and drink it between meals, in the afternoons when sugar cravings hit, or in the evenings after dinner if you’re a night eater. Use it as a base for soups and stews. It should be super gelatinous, like meat jello. If it’s not, use more bones. If you don’t want to use the crockpot, just put everything in a large dutch oven on the stove and let it simmer as long as possible. Same method. Read more about broth and digestive healing here. Do you remove the fat layer when you take it out of the fridge, or should the fat be included when reheating the broth? Can you use this for soup? Or is it important to drink it on it’s own? Yes! I often use it as a base for soups and stews. Could you take Gelatin instead of bone broth and get the same benefits? Gelatin doesn’t work as well as broth, but it’s a good second contender. 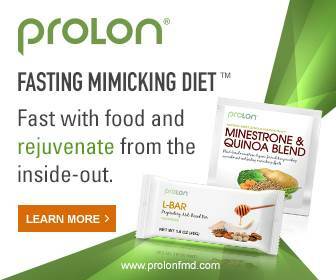 You don’t get the minerals and trace minerals in the same strength that broth offer. Hi! My hubby usually makes stock/broth in a stock pot on the stove, but today he is trying the crockpot method for the first time – smells so good! 🙂 After straining it, we normally put it in jars, cool it, then freeze it. We normally use it for soups, stews, etc… but would like to start drinking it on a regular basis. How long would it keep in the fridge? Would love to make it on the weekend and use it during the week. Thanks for all the info! Put it from crock pot/stove to jar and then refrigerate to let the fat rise to the top. the fat will “seal” in the freshness, and the broth should last 7 days in the fridge. Enjoy! I like mine with curry powder (for the benefits of turmeric) and sea salt. We bbq’d a whole chicken about a week or so ago. I put the remains in the freezer in hope i could use it to make broth. It still has bits of meat on it. Can I still use it to make broth? Do I pull all the meat off and break up the bones? Thank you! I do not pull off the meat. just chuck it all in there! Hello, Where would I buy organic bones from? Or do you just keep it from the meat you cook? I save bones, buy them from Whole Foods, or from a local farm/organic butcher. I just made it for the first time in crock using chicken backs, necks, feet and beef marrow bone. It seems very oily…should I have removed the chicken skin beforehand? Or is all that oil normal? Also, can I add gelatin later in re-heat? I didn’t have any on hand. Thanks so much for all the good info on here! once it cools, the fat will congeal on the top. Leave it to seal in freshness and flavor, (I usually make a hole in the “seal” and pour through that into a mug). Hello, and thanks for this helpful Web site!! Can you recommend a vegan alternative to the bone broth? Can you tell me how long this broth will last in the freezer? Also can I buy organic chicken broth from a whole foods store that will do the same? I’m pressed on time and would love a quick alternative. It will last several months in the freezer, and no, organic boxed broth does not offer nearly the same benefits. You want the broth to be very gelatinous– it should be like “meat jello” when it’s cold. That means it has the proper amounts of collagen & gelatin. It will turn to liquid when heated. I know this old. But how much filtered water do you put in the crock pot? I don’t have an exact quantity because it depends on the type and amount of bones used. Just enough to cover the bones. Ok got it. Thank you for your quick response! I don’t like to use all those crazy parts of the chicken. So im going to just use a whole organic chicken in my broth. Have a good day. hi, i know this is an old post, but would really appreciate if you could help. 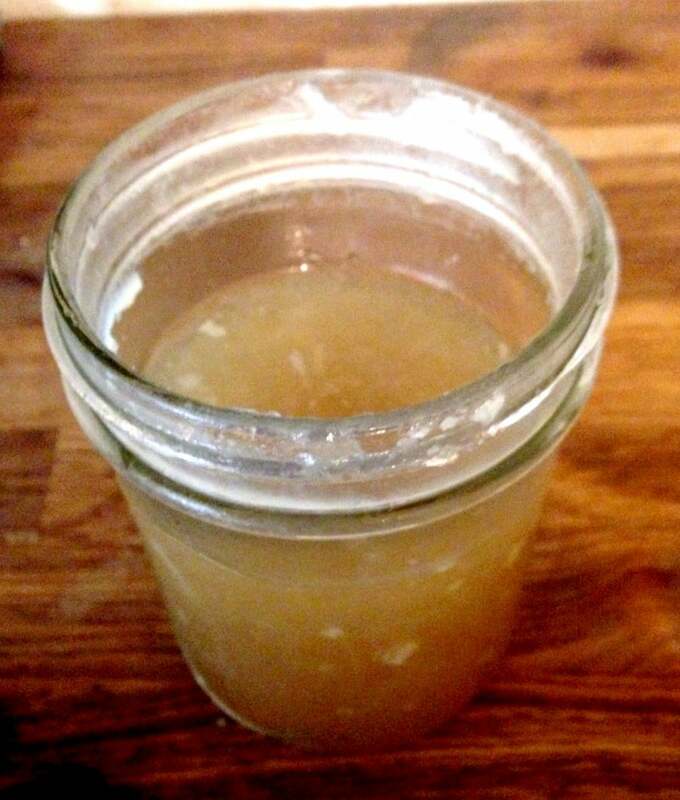 No, bone broth should be made with bones only or you’ll get a greasy mess. Plus the concentration of bones only is what gives it the amino acids, nutrients, and collagen for healing. 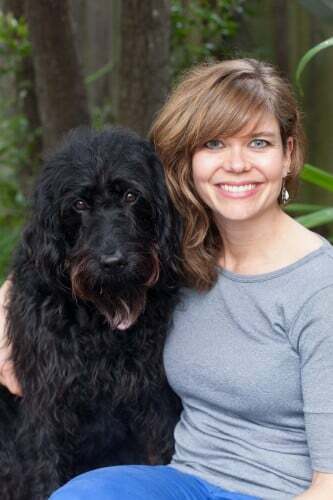 Great article Mary! Right now I drink organic broth from Au Bon Broth and it’s so great for my skin and hair! Which is better chicken or beef bone broth? That’s a bit like comparing apples and oranges. They both have myriad benefits. Chicken broth seems to be better to build immunity, and beef broth when made from marrow bones better for the collagen content. If I cook a whole chicken in the crock pot for a meal and use the broth for the dish, then debone the chicken….. can you use those bones and make broth or are most of the minerals, etc already extracted. Sandy, that’s a good question. I would always start with fresh, unused bones for the best quality broth. Hi Mary, I loooove your site! You are my quick cross reference whenever I am embarking in a new health journey! Ok, so I have been making my bone broth in my pressure cooker, (3lbs grass fed beef bones from local dairy farm) and have just made my second batch. (Still takes great) How many times can you make broth from the same bones? Hi Sam! Thanks for reading. I only use the bones once. Sometimes I’ll roast them for the marrow and then make broth with them, but you shouldn’t use them for broth more than once, as the second time around won’t gel because of a lack of collagen + it will be mineral deficient. I sometimes give them to the dogs after I use them for broth. I’ve had problems with gerd for many years, I also believe I have leaky gut, I have most if not all the symptoms associated with it. I’m convinced the result of medications. I’ve now got raised atl (liver) enzymes at a high of 114, down now after several weeks to 89. I haven’t drunk alcohol since 2008 I stopped smoking in 2006. I’ve had to stop more more and more foods over the years, none more so in the last 2 and am now on a permanent low fodmap diet…. I now eat just chicken, Turkey steak, 5% fat beef mince, pork steak, salmon, rainbow trout, free range eggs, almonds & walnuts, carrots, spinach, green beans, jacket potato, brown rice, nutribrex, almond milk and drink only water. Everything I’ve tried to reintroduce or add back in cause me problems. I’ve tried to get my GP here in the UK to listen and help, but I’m just treated like an hypochondriac. Over the years I’ve tried to help myself and couldn’t understand why everything I tried made things worse. Several months ago I tried to add organic bone broth and sauerkraut to my diet both seemed to make my gerd worse. I also bought some loose organic chamomile teain the hope it would sooth my stomach, but have yet to try it as it’s high fodmap and I’m sick of feeling unwell. I recently found a low fodmap bone broth and tried a small amount yesterday and my stomach has been really painful ever since, I’m guessing because of the ACV in it (Everything I try seems to cause me problems). I apologise for the long post but I’m at my wits end! Would you mind offering me some advice? Is my gerd likely to improve If I persevere taking it or should I maybe try a grass fed collagen hydrolysate powder until it does? Is there anything else you can suggest help. You have to figure out what’s causing it before you can accurately treat it.